Our first poultry feed mill in Surabaya, Indonesia. Established poultry breeding in Indonesia. Established aquaculture operations in Indonesia. PT Japfa listed on the Jakarta Stock Exchange. Regional expansion with poultry feed operations in India. Established dairy farming operations in Indonesia. 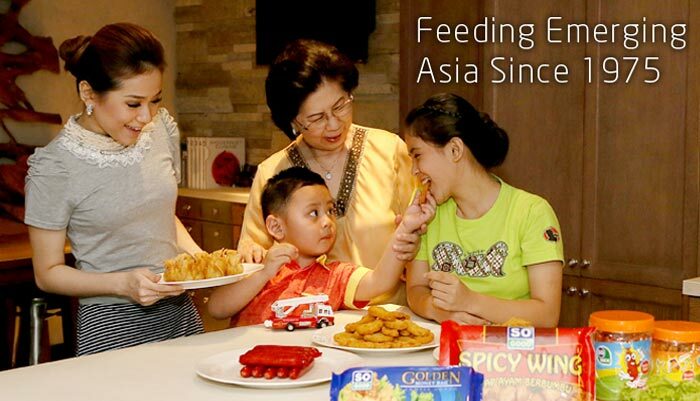 Launched processed consumer food brands in Indonesia. Diversified into beef operations in Indonesia through acquisition of PT Santosa Agindo. Develop animal vaccines in Indonesia through acquisition of PT Vaksindo Satwa Nusantara. Regional expansion into China by establishing dairy farming operations. Expansion of branded processed consumer food into Vietnam. Diversified into swine operations in Vietnam. Established beef feedlot operations in China. Established distribution company for retail sale of dairy produce in China. Signed framework agreement for construction of new farm hub in Inner Mongolia, China. Established poultry operations in Myanmar. Japfa Ltd listed on the Singapore Stock Exchange.